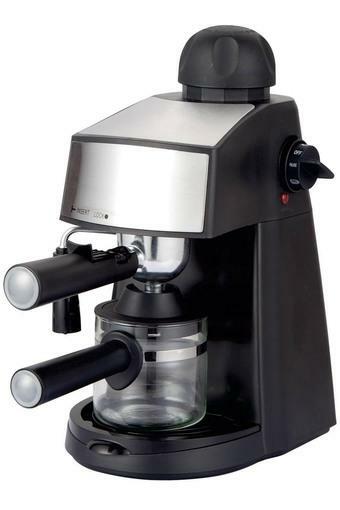 Rejuvenate yourself during a dull working day by making espresso with ease by using this machine. It has a carafe with water level gauge that will provide you with a perfectly brewed coffee. The on and off switch comes with an indicator that adds to its utility. A coffee lover will surely be impressed with this espresso machine from Russell Hobbs. Russell Hobbs has been synonymous with life in the kitchen for over 50 years. Known, owned and proudly on display in millions of homes across the UK, Russell Hobbs� has forged a reputation for timeless, stylish kitchen appliances. From kettles and toasters, to coffee maker, cooking < baking and food preparation products, each product has been designed with the consumer in mind and offer the ultimate in performance.